Mensa Wines, South Africa’s first wine supported by an augmented reality (AR) app taking storytelling to the next level, is celebrating National Book Week from 3-9 September 2018 with an intriguing online wine and book pairing competition. 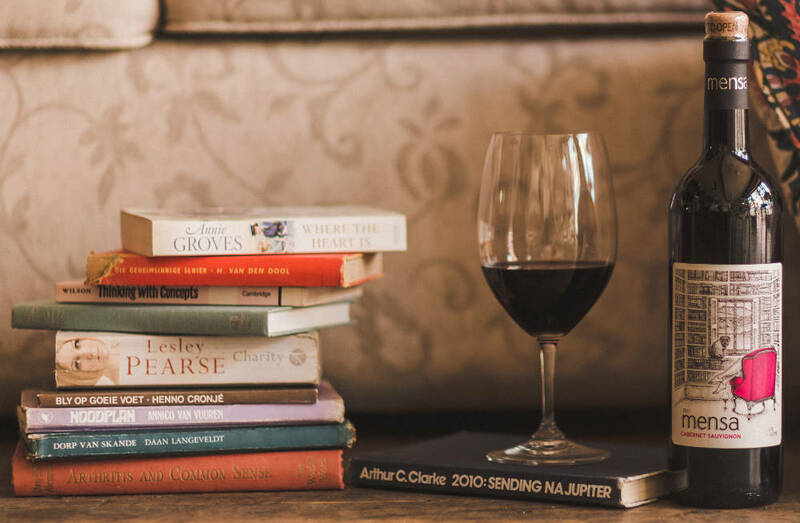 As the ultimate book club wine, Mensa is hoping to get more people reading by calling on book and wine lovers to share great stories by pairing the new Mensa wines with their favourite books. The pairing suggestions will be collated into a Mensa Book List and all participants stand a chance to win a year’s supply of Mensa wines for their book club or weekend get-togethers. Mensa is all about story telling so choose books you think would be a good match for Mensa Sauvignon Blanc, Chardonnay/Pinot Noir and Cabernet Sauvignon. The wines are available at Checkers stores countrywide, or online at https://www.mensawines.com/online-shop/. Visit the Mensa Tasting Room at https://www.mensawines.com/tasting-room/ to learn more about them.